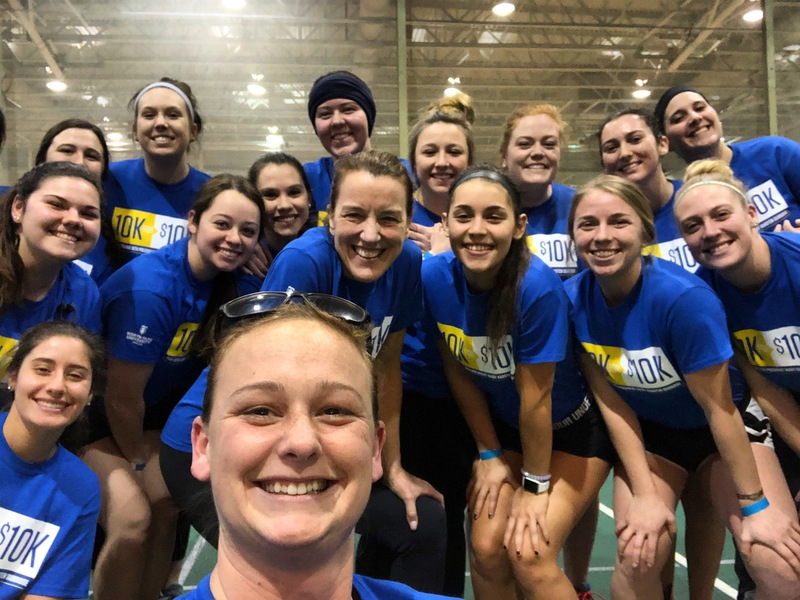 More than 153 students, faculty and staff laced up their sneakers and joined President Mary Surridge at Helwig Recreation Center Monday to run and walk their way toward raising $12,723 in scholarships for the North Park Fund. “Today was a great example of the North Parkers from here on campus, and across the globe, coming together to support North Park University’s mission of providing a world-class, Christian education to students by funding essential scholarships,” said Assistant Vice President of Advancement Shena Keith. Runners and walkers were cheered on by North Park students and staff, and had the opportunity to pose for photos with President Surridge. All week long, students are encouraged to take a selfie with her as part of the #SelfiewithSurridge campaign in celebration of her inauguration. “Our community of students, faculty, and staff made a strong showing today joining together to support our new president, Mary Surridge, during this kick-off to Inauguration Week,” said Vice President for Enrollment Management and Marketing Anthony Scola. 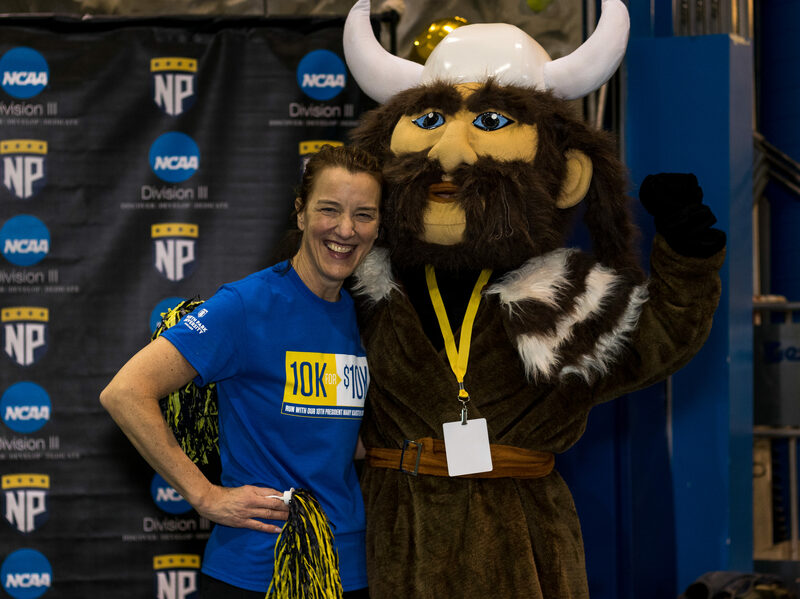 The 10k was divided into three legs: 4k at 7 a.m.; 3k at 12 p.m.; and 3k at 5 p.m. After the last leg, participants enjoyed pizza and celebrated with President Surridge in the Helwig Center mezzanine. Gifts raised will all go toward meeting student’s highest need: providing scholarships to ensure North Park students receive an exceptional and affordable education.